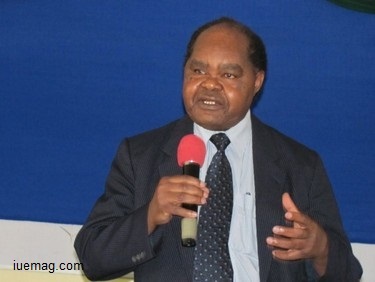 One of Eastern Africa’s most illustrious intellectual legends has answered the heavenly call after years of service as a public service veteran leader within the think-tank arena, the Knowledge Economy Sector. Prof. Joseph Nyasani was a rare leader like no other. The soft—spoken intellectual scientific veteran, a distinguished scholar, who’s amongst the fewest African fashionable leaders of his calibre, with the gift to speak like a lay-man without compromising on his standard, was surely one of the brightest socialites within the academic ranks. Those who drank from his well of wisdom, will narrate his life in colours, endless tales of inspiration and enlightenment. African Artists Peace Initiative South Africa joins the multitude of others globally, bereaving the catastrophic transitory of one of the greatest Eastern African academic giants, Prof. Joseph Nyasani, as he left our shores from Agha Khan Hospital in Nairobi, Kenya. Those who’re attached to his teachings would say, ‘Bra Jo’ will teach from the skies above’. Since the emergence of the millennial, Bra Jo’ as we fondly called him, (as he disliked using official nomenclatures in irrelevant spaces), toiled assiduously fit on legal philosophical subjects affecting the African child from a global perspective. Having authored more than forty (40) books and contributing more than 300 papers to global journals whilst living with a bullet in his brain for 21 years, he’s undoubtedly the best African Educational Ambassador Kenya ever produced. Having interacted with his work from one of Africa’s geriatric libraries, Prof. Nyasani was by far, one of the rarest living African intellectuals having grown from the African diaspora. He spoke with a voice of authority on any African subject making him a living library to cherish hence he’s been honoured by the multi-million building in Kenya. In 2014 when I met him in Kenya, in his then capacity as the lecturer at the University of Nairobi- Kenya, Prof. Nyasani resembled himself as a selfless leader, the kind of person you’d wish every person would emulate prior being entrusted with responsibilities of global impact. It’s indeed during that time, that I became aware of the various leadership traits contained within one person- who makes the world sing his name. His proficiency to speak most internationally recognised languages (English, French, Italian, Spanish, Kiswahili and Ekegusii among others) distinguished him as a global leader of note. Amidst his geriatric knowledge and activism, we’ll also benchmark on his intellectual generosity and accessibility that made him a teacher for generations of dons and militants. May your predecessors open the parley-gates of heaven, for you too, gave your all. May your students continue with your legacy as per your teachings. May your deeds reflect through your living products who drank from your well of wisdom. May what we had, grow! Farewell lion of the East. Koketso Marishane is an Executive of the African Artists Peace Initiative, African Union Youth Working Group and the International Youth Council South Africa. He writes in his personal capacity. Any facts, figures or references stated here are made by the author & don't reflect the endorsement of iU at all times unless otherwise drafted by official staff at iU. This article was first published here on 10th February 2016. An obsessed cosmopolitan Arts Education & ICT practitioner from Limpopo, South Africa.